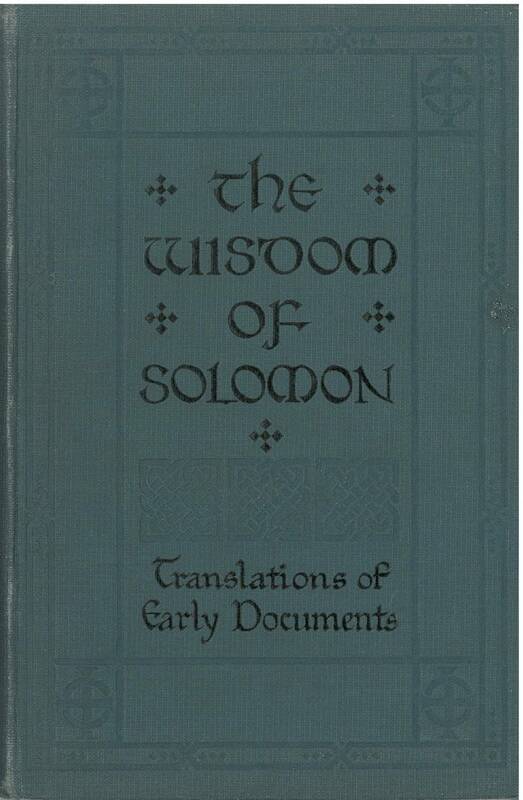 References: Chamberlin 331-5, Taliaferro CN00413. 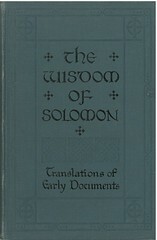 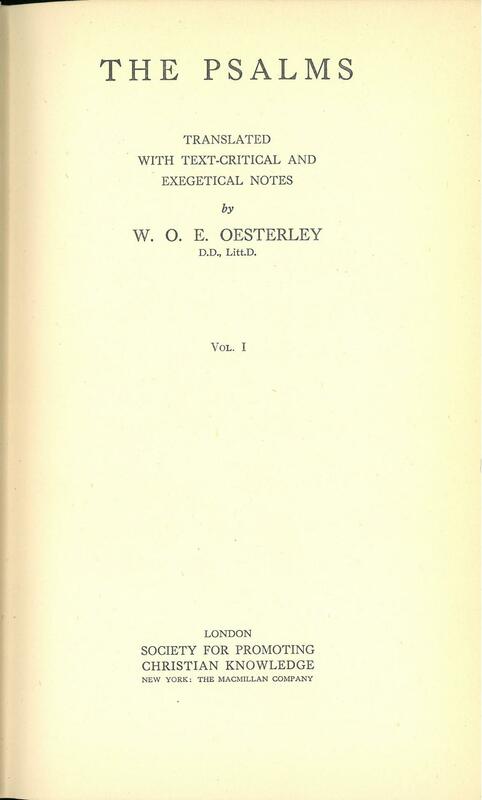 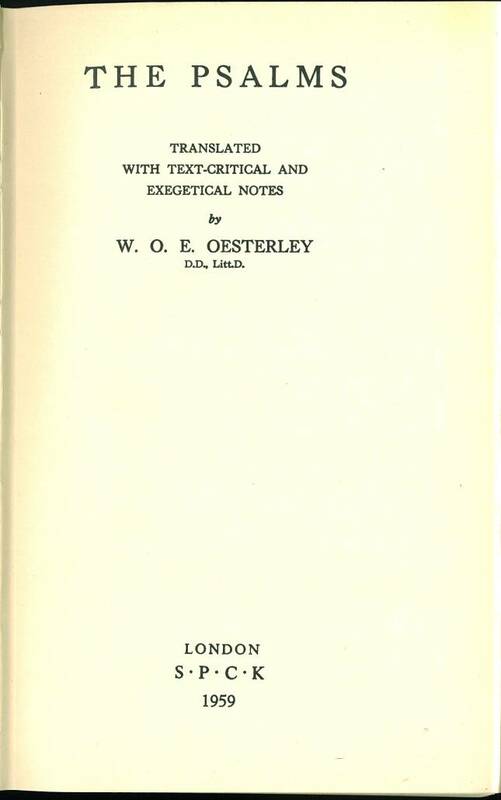 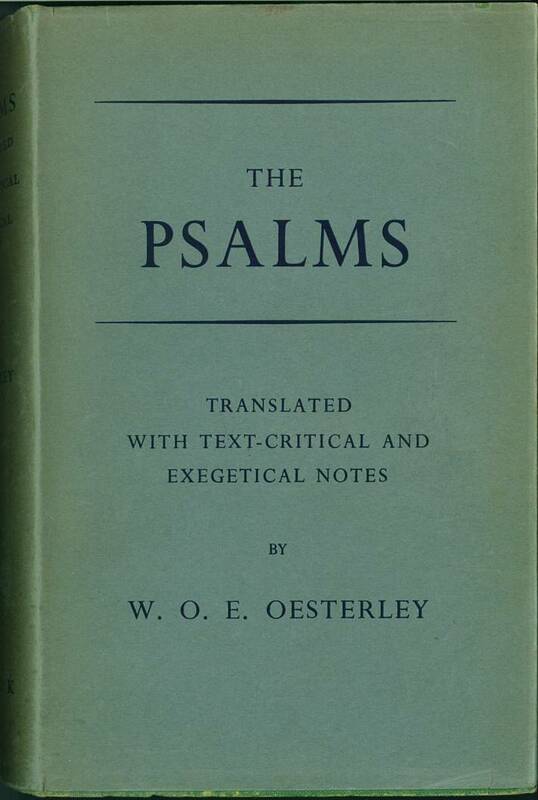 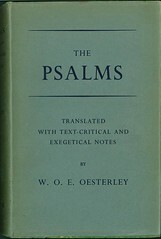 Title: The Psalms Translated with Text-Critical and Exegetical Notes by W.O.E. 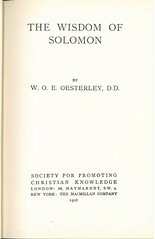 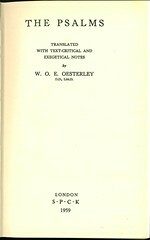 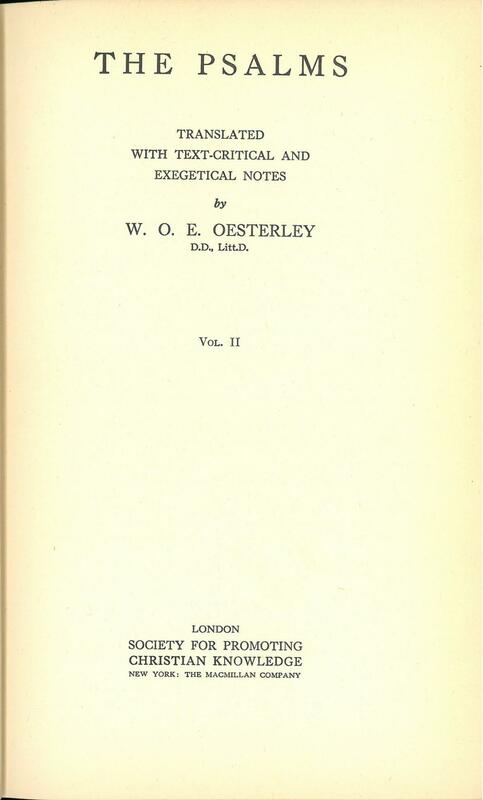 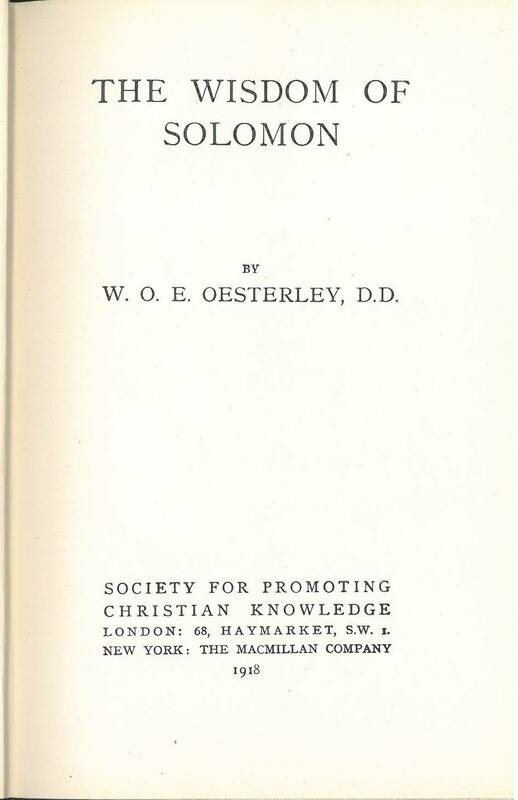 Oesterley, D.D., Litt.D.